According to a new executive order signed by President Trump on March 6, 2017, refugees from six Middle Eastern countries, as opposed to seven as the original order stated, are now officially banned from entering the United States. Mr. Trump’s initial ban which was issued on January 27, 2017, included seven middle eastern countries including Iraq and Iran. However, The President decided to reinstate Iran after he viewed a video made by what he thought was the Iranian government. 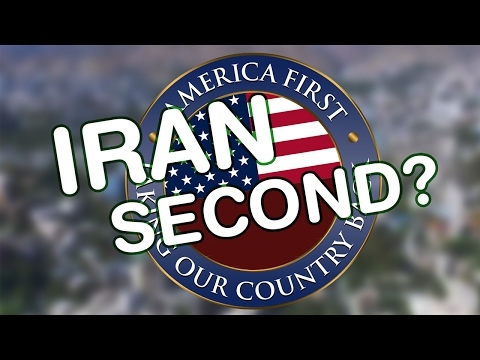 This video, which is linked below, explained to The President the extent of Iran's advancements, or lack thereof, and their disdain for former Iranian leader Mahmoud Ahmadinejad. However, The President seems to have made a mistake by lifting the ban from Iraq instead of Iran. While he could not be reached for comment, he did take to Twitter to defend his position. “Liberal media is out to make me look badd. The Q and N are interchangeable in the middle east, not everyone knows this, I do! I'm POTUS!" --Execution Time: 4/20/2019 5:57:09 AM - 4/20/2019 5:57:09 AM = 0.1562498 sec.